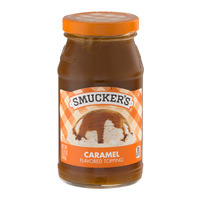 Try all of smucker's sundae syrup flavors to add great flavor and fun to your food and drinks! Make your dessert divine! Put the "mmmm" in your milkshake! Wake up your coffee! Dip your favorite fruit!